Ever heard of quad biking? 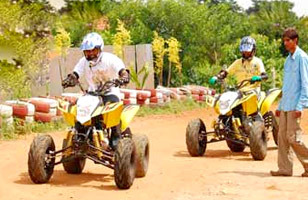 Quad biking is an exciting adventure sport that involves biking on a 4-wheeled vehicle, which weights less than 550 kgs. Quad biking is popular all over the world and now it has arrived in Ahmedabad. 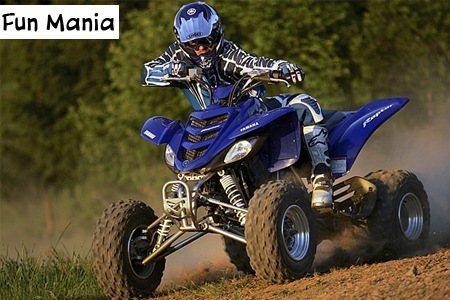 Fun Mania is the place to be to enjoy this adventure sport. Originally quad biking was originally designed for farmers and estate owners to get around big farms. But you don’t need to go to any farm to enjoy this sport. All you need to do is head straight to Sardar Patel Ring Road and locate Fun Mania – the ideal rough terrain for quad biking. 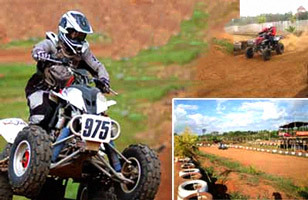 Fun Mania is Gujarat’s largest quad biking track and the average length of a lap is around 900 meters. You can choose from drift bikes and ATV bikes that are available there. Fun Mania is open from 10.00 AM till 10.00 PM. Not sure what to expect from quad biking? All we can say is that quad biking sport is fun and exciting especially for people who like tremendous powerful machines and enjoy speed. If you are someone who likes to get his or her hands dirty, this may be the driving experience for you. With quad biking, you are surely to get your hands, feet, arms and face covered in mud and dust! This adrenalin-inducing thrill ride is perfect for anyone from first-time bikers to the most audacious of adventure seekers.